The Digital Forge specialises in the design and development of database backed Content Management driven websites using Joomla! and mobile apps for iOS and Android. Our 'get you going fast' package is just £450 including 1 year's hosting. This includes a Joomla site set up and custom template designed to meet your exact requirements. 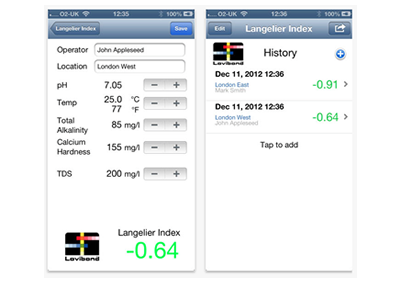 Do you have a great idea for an App that needs realising? This can often be done for far less than you think starting at just £500 for the most basic. If you need to add some horsepower to your coding team, at just £50/hour+VAT I can bring an extra pair of skilled hands to the table. Fully conversant with Source Code Control, I can dovetail in with your existing team to get your project delivered. Launched in November 2015, two new services: DG Mac Man - help and tuition with your Apple™ Mac at home and DG App Man - I will teach you everything you need to know to write and publish Apps in the Apple™ App Store and Google™ Play Store. Here are 'six of the best' x 2 I have developed. First six apps then six websites. Band site with video feeds and mp3 player. Joomla! 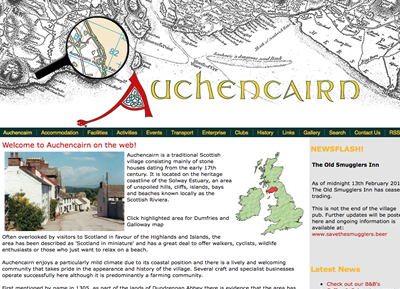 We decided to 'up sticks' and bring the family to Auchencairn on the Solway Firth. A wonderful place to bring up kids and explore what the great outdoors has to offer. Oh and a little bit of work too! out with the imperial purple and in with a a funky green and V Dub font. Still our moniker to this day. 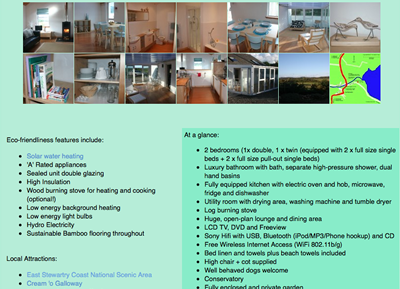 What you see here is based on Bootstrap 3.0 and is pure CSS 3. 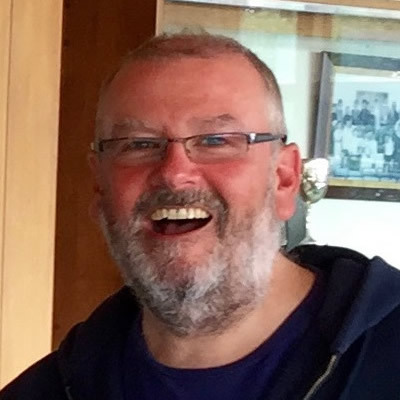 The new website co-insides with the launch of two new services from The Digital Forge....DG Mac Man - http://www.dgmacman.co.uk and DG App Man - http://www.dgappman.co.uk Click the links to find out more! It's mainly me but I have a team of helpers! Very keen sailor - The Solway Yacht Club, musician - saxophonist, The Cotton Street Band and Under The Hammer. I enjoy creating new things in the digital world be they websites, apps or engine room code. 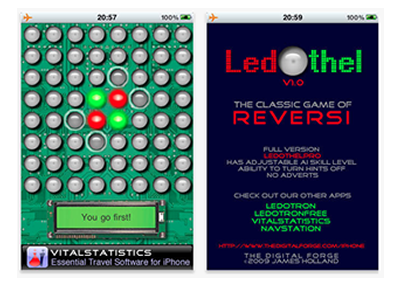 Having started developing websites in 1999, I have a depth of experience not often found :-) I have 9 Apps currently published in the Apple App Store and three in production currenly. I have lost count of the number of websites I have built! We will not sell, gift, loan or lease any personal information at any time. Ever. This license shall automatically terminate if you violate any of these restrictions and may be terminated by The Digital Forge at any time. Upon terminating your viewing of these materials or upon the termination of this license, you must destroy any downloaded materials in your possession whether in electronic or printed format. The materials on The Digital Forge's web site are provided "as is". The Digital Forge makes no warranties, expressed or implied, and hereby disclaims and negates all other warranties, including without limitation, implied warranties or conditions of merchantability, fitness for a particular purpose, or non-infringement of intellectual property or other violation of rights. Further, The Digital Forge does not warrant or make any representations concerning the accuracy, likely results, or reliability of the use of the materials on its Internet web site or otherwise relating to such materials or on any sites linked to this site. In no event shall The Digital Forge or its suppliers be liable for any damages (including, without limitation, damages for loss of data or profit, or due to business interruption,) arising out of the use or inability to use the materials on The Digital Forge's Internet site, even if The Digital Forge or a The Digital Forge authorized representative has been notified orally or in writing of the possibility of such damage. Because some jurisdictions do not allow limitations on implied warranties, or limitations of liability for consequential or incidental damages, these limitations may not apply to you. 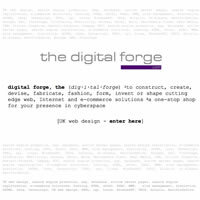 The materials appearing on The Digital Forge's web site could include technical, typographical, or photographic errors. The Digital Forge does not warrant that any of the materials on its web site are accurate, complete, or current. 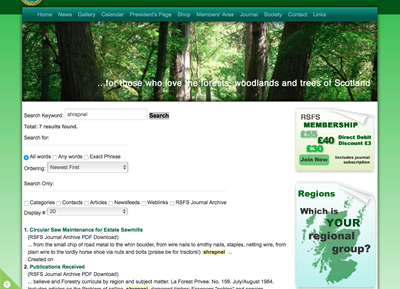 The Digital Forge may make changes to the materials contained on its web site at any time without notice. The Digital Forge does not, however, make any commitment to update the materials. 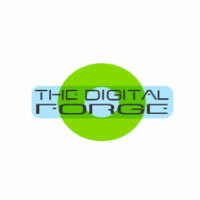 The Digital Forge has not reviewed all of the sites linked to its Internet web site and is not responsible for the contents of any such linked site. The inclusion of any link does not imply endorsement by The Digital Forge of the site. Use of any such linked web site is at the user's own risk. 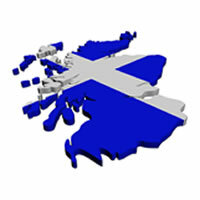 Any claim relating to The Digital Forge's web site shall be governed by the laws of Scotland without regard to its conflict of law provisions. 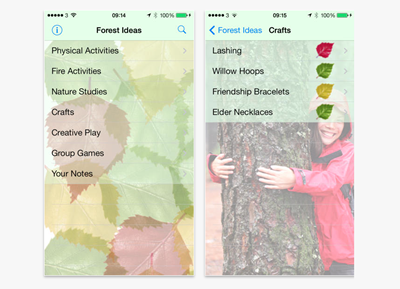 I was provided with a loose brief to build an app to promote forest activities for kids. 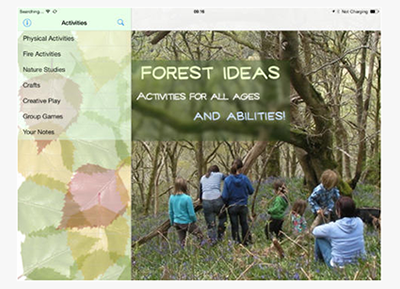 The client, a local Forest Schools co-ordinator, provided the game details and curriculum links. 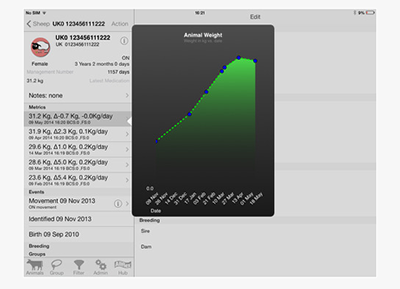 The overall app design was developed using an iterative process. Would you like to try Forest Ideas? It's Free on the Apple App Store! This project was 'home grown'. 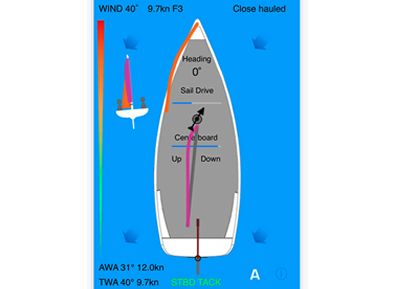 I wanted to write an app to help teach my son the basics of sailing off the water. 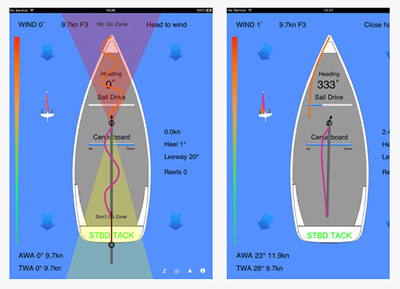 SailSim is a dynamic model that can be used to show how a boat responds to wind speed increaces and points of sail, safely, off the water! Would you like to try SailSim or SailSimXL!? 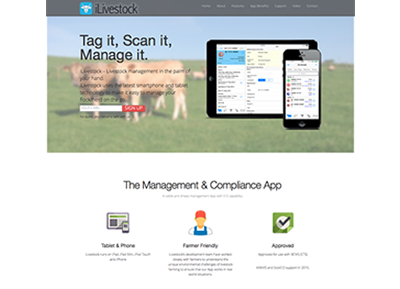 The world's first livestock management app! This is probably my largest and most complex project yet. 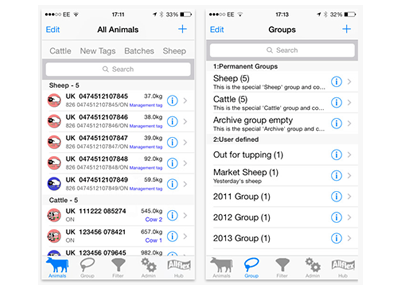 Taking over a year to develop and going through three prototype phases, iLivestock remains the premiere livestock management app for iOS. It integrates with the Allflex RS420 RFID Stick Reader and provides a total livestock (Sheep/Cattle) management system in your pocket! Would you like to try iLivestock? It's Free to download! PoolM8 was developed against a tight spec provided by the client. 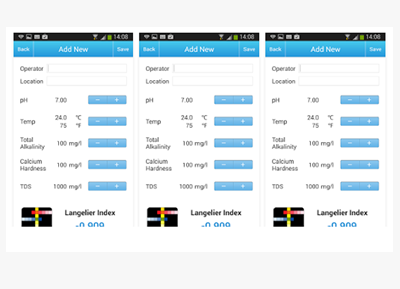 They wanted and data entry and tracking app for both Apple (iOS) and Android. Would you like to try PoolM8? It's Free to download! This app was a bit of fun. I wanted to experiment with a few things and created that 'AI' version of Reversi with a retro 'see the workings' look. 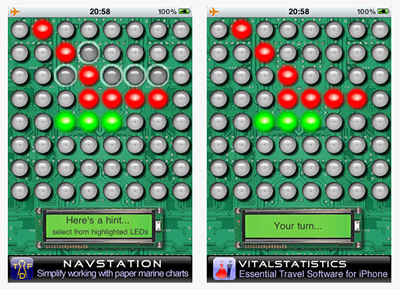 Watch out, on the highest level of AI it's very hard to beat!! Would you like to try LedOthel? It's Free to download! Munch was a great project! It was done by Kirkcudbright Academy seniors in 2012 as their product for Rotary Young Enterprise competition. 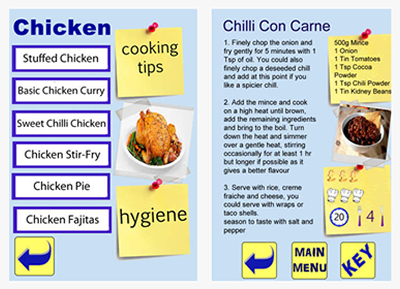 The kids did all the graphical design and copy writing and I helped them put the final app togther. To date, 15,000 downloads have been achieved! 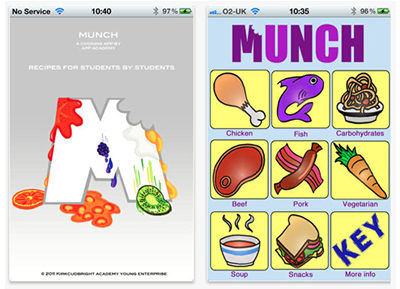 Would you like to try Munch? It's Free to download! 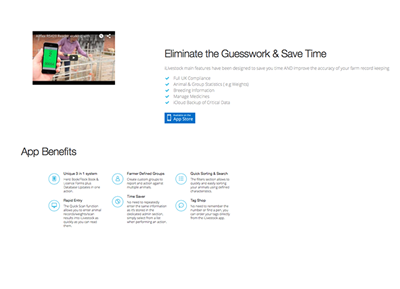 This website uses Bootstrap 2.0 and presents the iLivestock app in a single, fluid page. It has several mechanisms for engaging visitors and making contact. 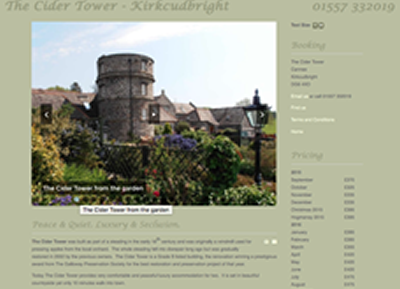 The new owners of 'The Cider Tower' asked me to create a new website for their holiday letting property. They wanted to be able to maintain it themselves. This site was developed on Joomla 3.0. 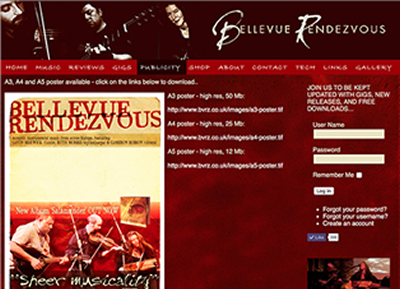 Bellevue Rendezvous wanted a new website to promote the band and distribute music, video and printed material. 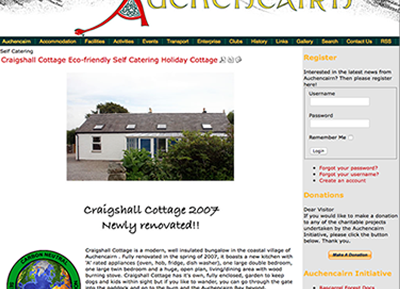 The current site was developed on Joomla! 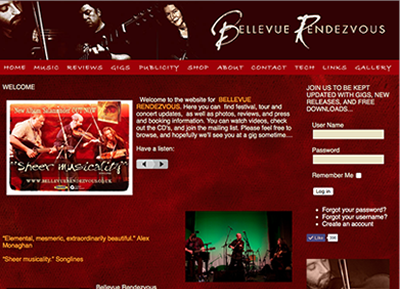 to enable the band to manage the site themselves and keep it updated. 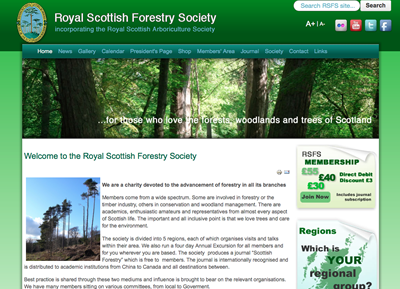 The RSFS wanted a website facelift in 2011. They also wanted a way to let the public search their extensive journal archive online. The Digital Forge developed some custom add-ons to Joomla to allow the entire journal history to be searched in real time. This website has lots of integrations with Google Calendar and Google Maps. 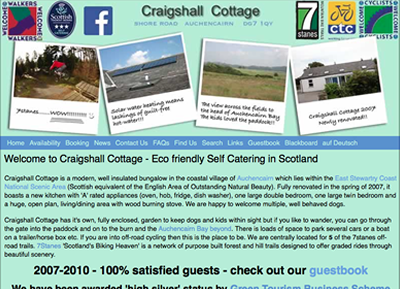 It's Joomla based and includes custom forms for booking.